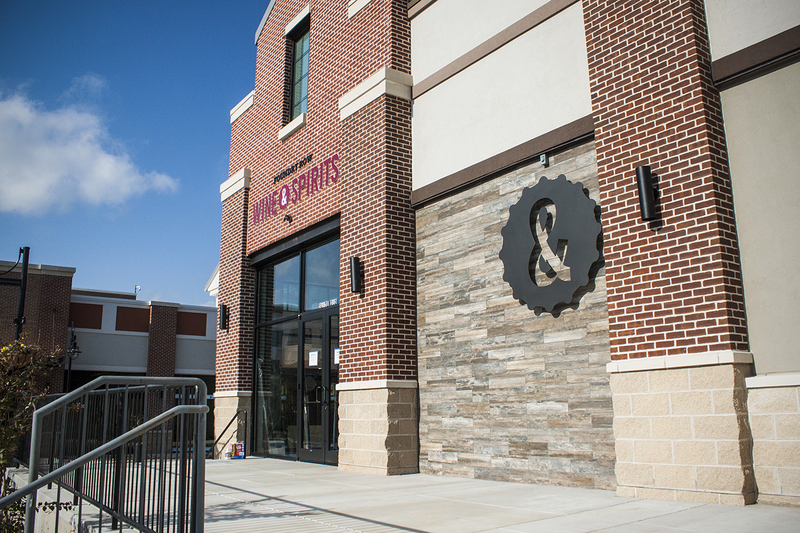 Foundry Row Wine & Spirits is located in the new Foundry Row shopping center in Owings Mills, Maryland. 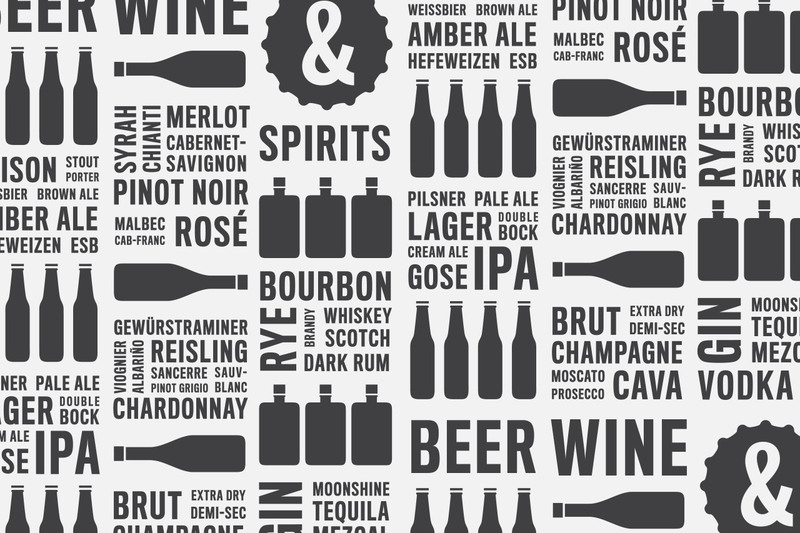 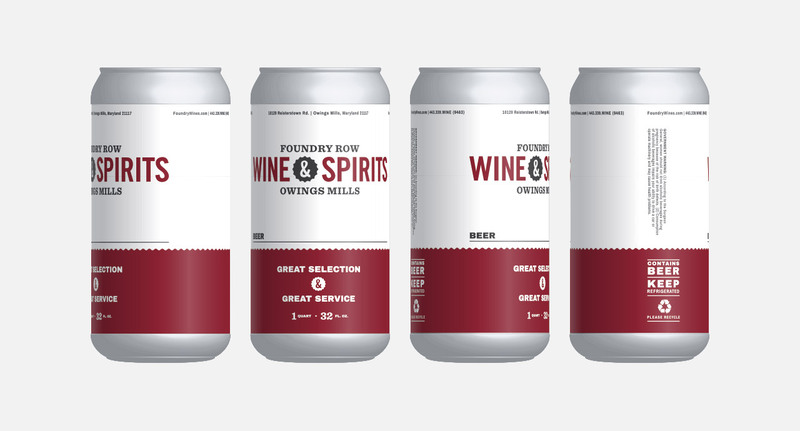 Specializing in their own beer brews, high-end liquor and vast selection of wines, Foundry Row is your one-stop shop to quench your thirst. 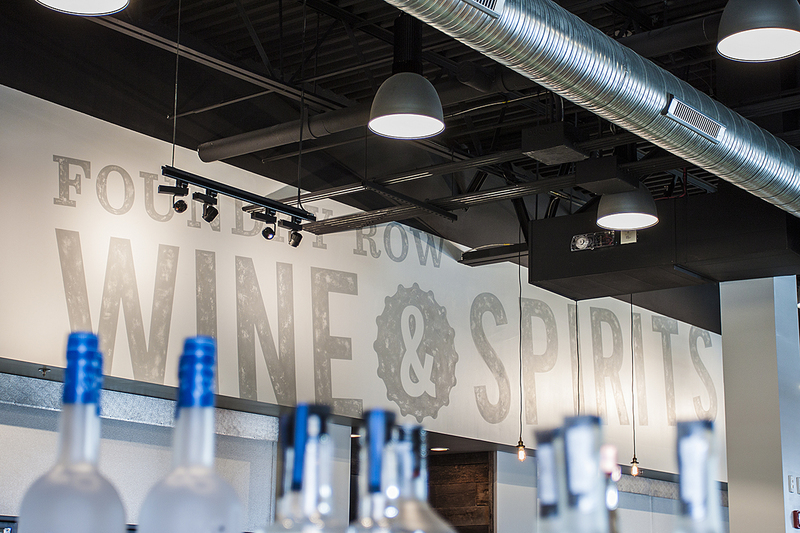 Foundry Row’s brand mixes contemporary with rustic. 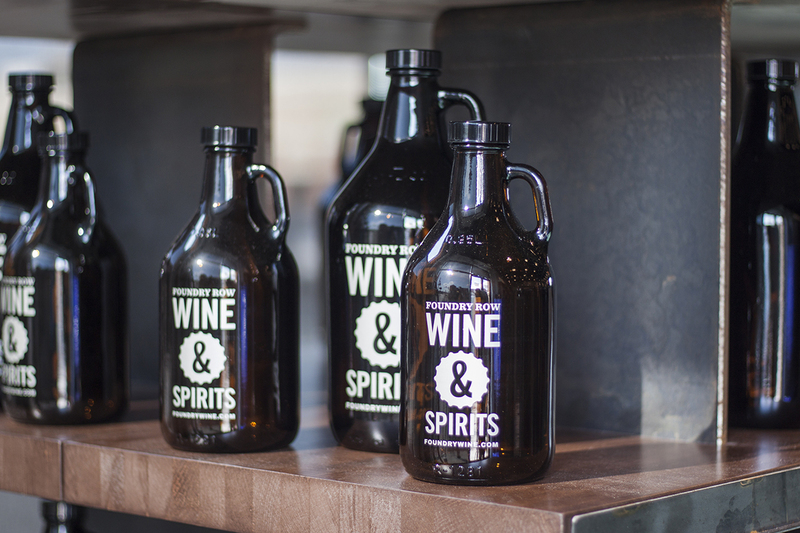 The gear ampersand icon is used throughout the space as aesthetic detail and harkens back to old distillery imagery, and products such as beer growlers and cans are emblazoned with the branding. 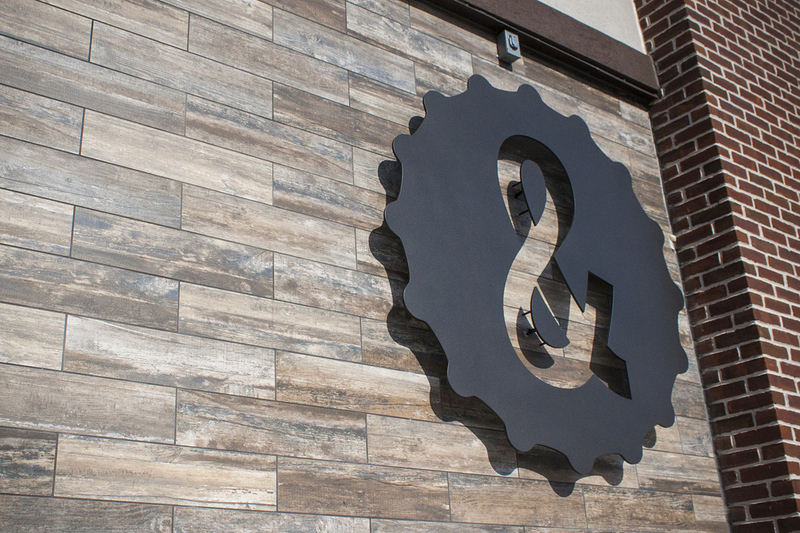 Environmental graphics on the exterior include building signage and built metal wall signs that feature the ampersand in the gear. 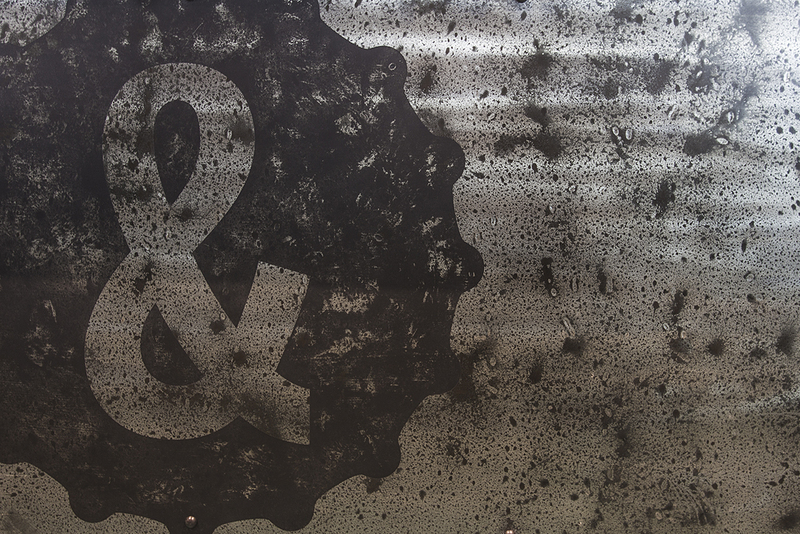 Interior graphics make finding what you’re looking for easy, and rustic materials throughout the space showcase the logo. 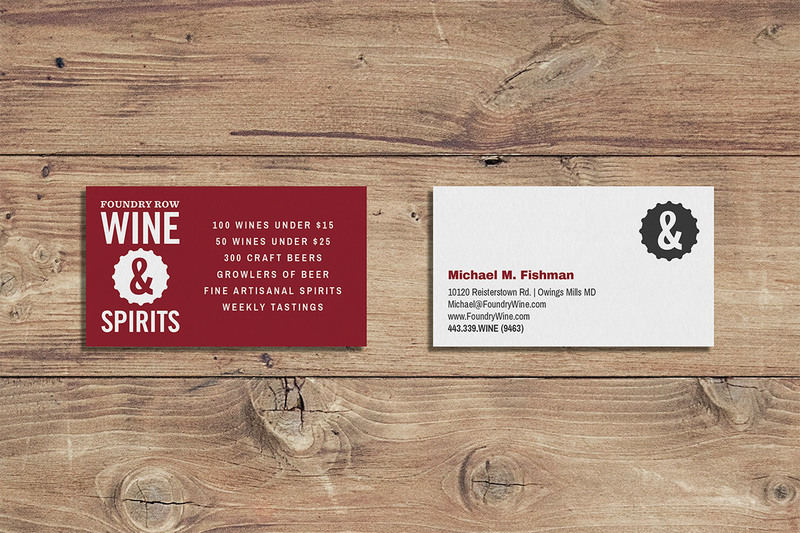 Foundry Row’s website expands on the brand by including textures and patterns used throughout the space. 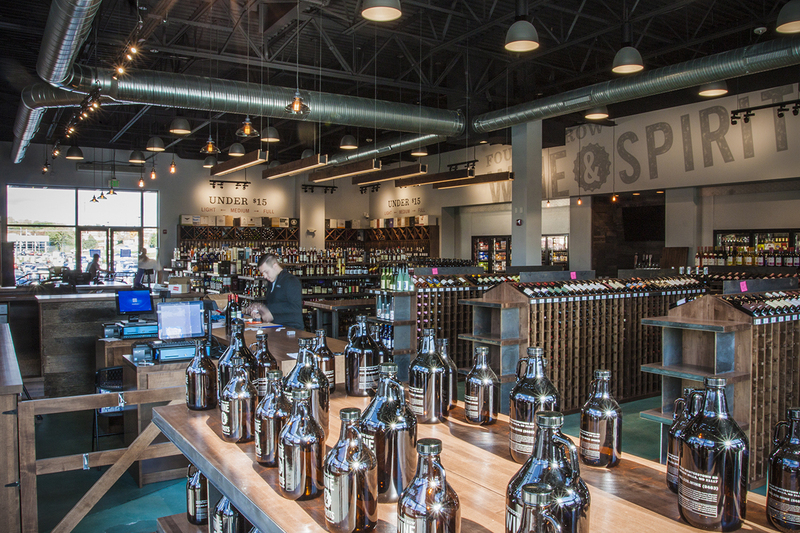 Information about the space and events happening in-store give visitors the run-down on this high-end local business’ offerings.